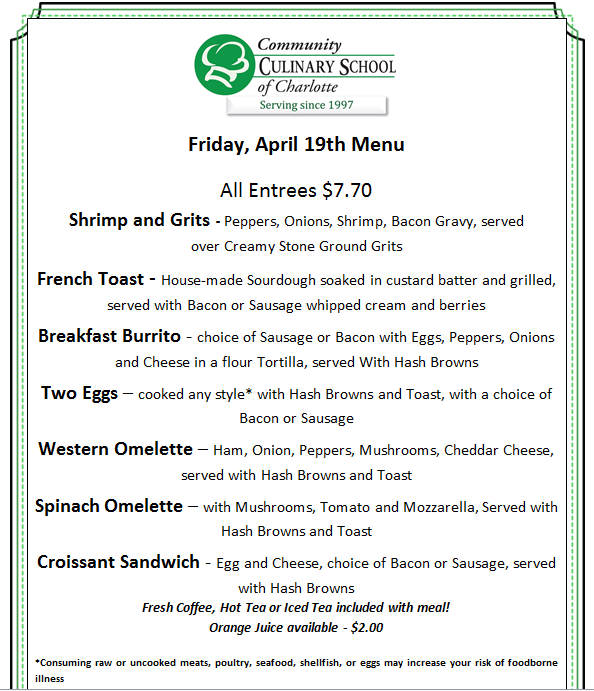 CCSC Cafe will be closing at 11:00 am today. 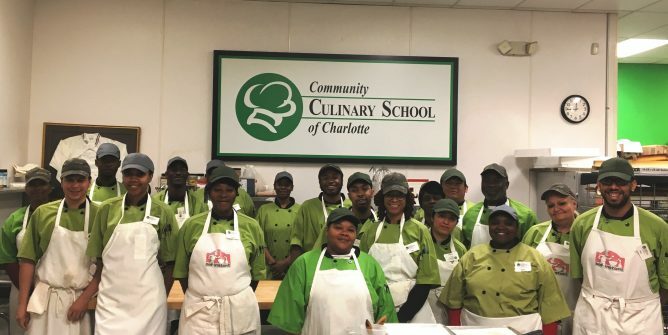 Community Culinary School of Charlotte is a non-profit that provides workforce training and job placement assistance in the food service industry for adults who face barriers to successful employment. Founded in 1997, Community Culinary School of Charlotte (CCSC) provides Workforce Development training and job placement assistance for adults who face barriers gaining and maintaining successful employment. Our training provides a solution to achieve social and economic objectives – breaking the cycle of poverty while increasing upward mobility of disadvantaged groups. We do more than hand someone a fish – we teach students how to clean, cook and sell fish! CCSC’s holistic program addresses the whole person – mind and body. CCSC is the only workforce program in Mecklenburg County incorporating Culinary Arts, Job-Readiness skills, and Life Counseling into its curriculum. Having a Certified Substance Abuse Counselor on staff is a powerful tool that contributes to our recovering students’ successful transitions. Encore Catering, a division of CCSC, and our Café serve dual purposes: to give training and experience to our students/alumni and to generate revenue for the School’s Workforce program. CCSC also offers Chef’s Table dining, Team Building activities and public cooking classes. By graduation, CCSC’s objective is that students have living wage jobs with career potential, and that our training provided each student with the skills, tools, mind-set and opportunity to thrive. CCSC has been providing Workforce Development Training for over 20 years, with 920 graduates to date! 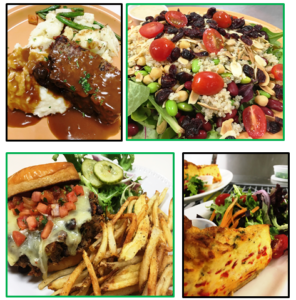 We hope you will stop by to meet our students, enjoy a meal in our Café, and see Workforce Development in action.